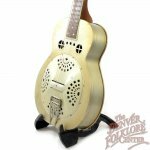 We have never really seen a Dobro quite like this one. 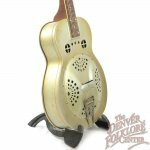 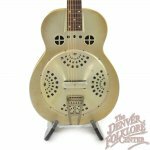 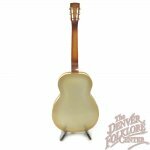 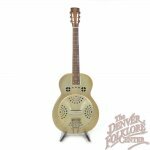 This vintage Dobro M-32 hails from the early 1930s and features some of the most unique and innovative resonator features of its time. 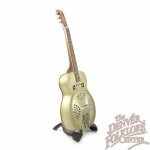 The metal body has rolled edges where top and back meet the sides similar to what you would find on a violin and the sides have these very neat metal squares pressed into them. 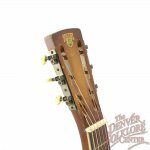 In addition the tailpiece, which we believe to be the original one, is one of the more unique styles we have seen. 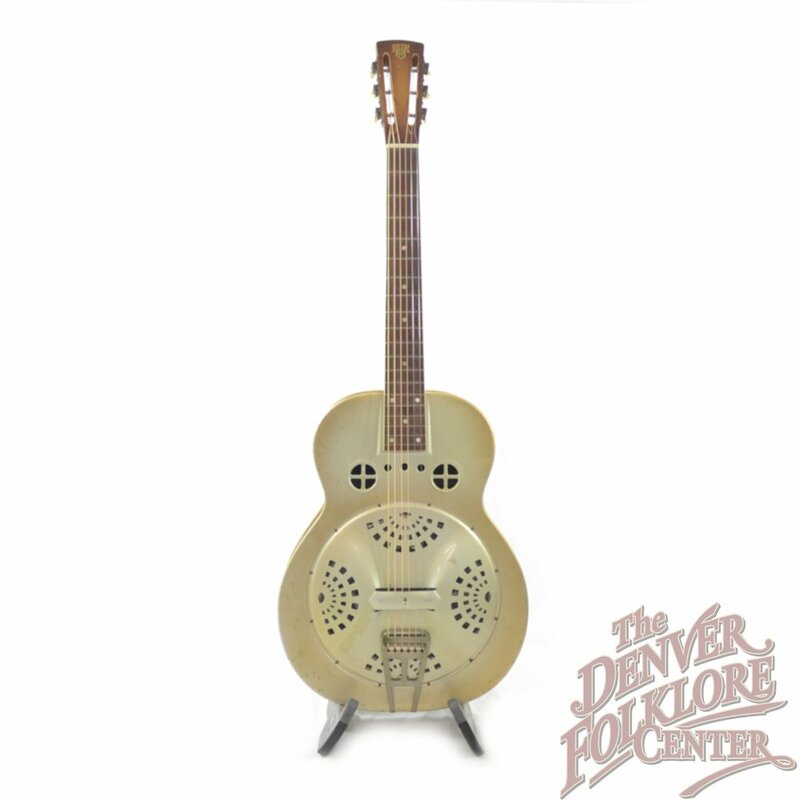 This one appears to be all original and is in very good condition for an instrument from the 1930s. 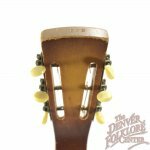 Small scratches and dings are to be found throughout the body, neck, and headstock but there are no major dents, separations, or major flaws to be found. 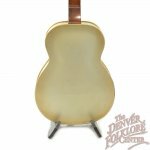 No case is included with this one but we do have a variety of case options to offer.